I have a weakness with rugged and military look-alike gadgets. 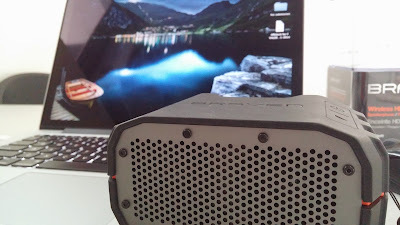 That was my first impression with BRAVEN BRV-1. Even I really have no plan back then to buy another portable speaker, Braven BRV-1 was able to touch the impulsive buyer in me. 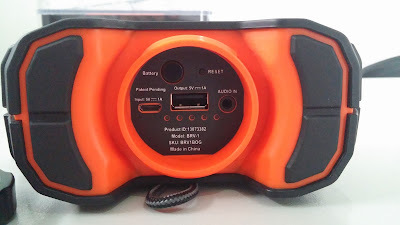 I ended up buying Braven BRV-1 and after a month of using it, I'm glad I did. The following are my honest review about it. 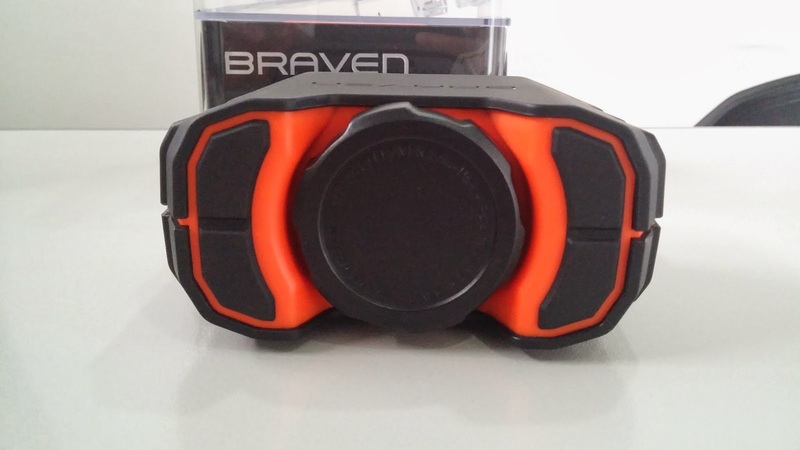 Braven BRV-1 certainly looks and feels like a military grade gadget. It has soft rubber coating and its buttons are etched on the coating. The color combination is perfect (mine has black and orange on it) and the shape is like a small binocular. It has a simple grill in front where the speakers are located. At the back, you'll find battery indicator, USB port (for charging smartphones), mini-USB port for charging the unit and Audio in. This speaker is IPX5 certified water resistant and shock absorbent. I can bring it outdoor and wouldn't worry about bumps and water splash. I use my speaker with my Macbook pro and LG G2 smartphone. 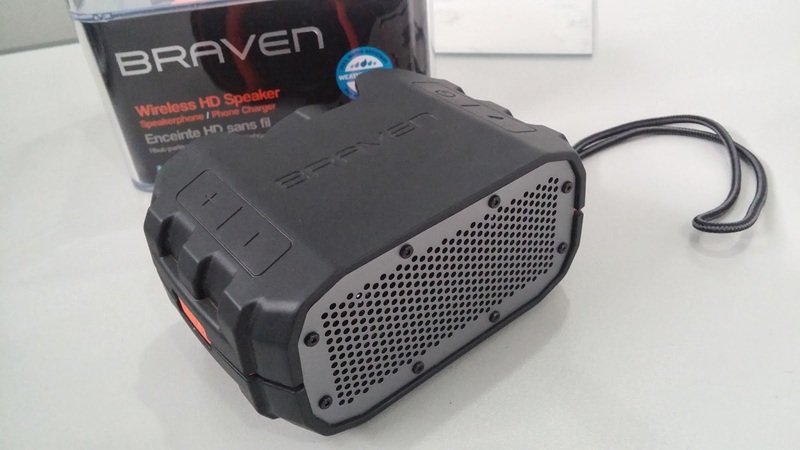 Both devices can produce smooth and crisp sounds on Braven BRV-1. The quality of the sound is pretty impressive for its size. If your just a regular guy who wants to listen to music whether outdoor or indoor then this speaker can certainly do the job in 12 hours non-stop. Braven BRV-1 is not just an ordinary speaker because you can use it to charge your smartphones which is perfect for emergency situations. It can also receive calls hands free through its built-in microphone. Honestly, I have nothing bad to say about Braven BRV-1. If it is not too much, I just hope it is fully water proof (submersible). 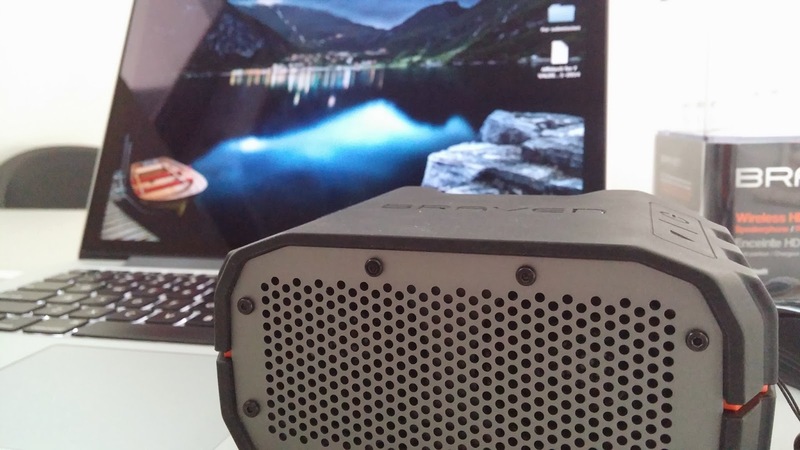 Braven BRV-1 is almost perfect for me. I can bring it anywhere and it is convenient. Whether your hiking, going to beach, working in office or just chilling at home, this gadget will surely impress you. Know about more this great product here.